If it is even remotely possible that any man-made item on Earth is more ubiquitous than plastic bags, it would have to be aluminum cans. But unlike plastic bags, which endanger marine life and trash the planet, aluminum cans are actually good for the environment. At least, they are if people like you and me take the time to recycle them. So why recycle aluminum? Well, as a starting point for answering that question, how about this: Aluminum recycling provides many environmental, economic and community benefits; it saves energy, time, money and precious natural resources; and it generates jobs and helps to pay for community services that make life better for millions of people. But let's get down to specifics. That adds up to about 1.5 million tons of wasted aluminum cans worldwide every year. All of those trashed cans have to be replaced with new cans made entirely from virgin materials, which wastes energy and causes extensive environmental damage. How Does Failing to Recycle Aluminum Harm the Environment? Globally, the aluminum industry annually emits millions of tons of greenhouse gases such as carbon dioxide, which contributes to global warming. Although aluminum cans represent only 1.4 percent of a ton of garbage by weight, according to the Container Recycling Institute, they account for 14.1 percent of the greenhouse gas impacts associated with replacing an average ton of garbage with new products made from virgin materials. In addition, every ton of new aluminum cans that must be produced to replace cans that were not recycled requires five tons of bauxite ore, which must be strip-mined, crushed, washed and refined into alumina before it is smelted. That process creates about five tons of caustic mud that can contaminate both surface water and groundwater and, in turn, damage the health of people and animals. There is no limit to how many times aluminum can be recycled. That's why recycling aluminum is such a boon for the environment. Aluminum is considered a sustainable metal, which means it can be recycled again and again with no loss of material. And it has never been cheaper, faster or more energy-efficient to recycle aluminum than it is today. Aluminum cans are 100-percent recyclable, making them the most recyclable (and valuable) of all materials. The aluminum can you toss into your recycling bin today will be completely recycled and back on the store shelf in just 60 days. How Much Energy Can People Save by Recycling Aluminum? Recycling aluminum saves 90-95 percent of the energy needed to make aluminum from bauxite ore. It doesn't matter if you're making aluminum cans, roof gutters or cookware, it is simply much more energy-efficient to recycle existing aluminum to create the aluminum needed for new products than it is to make aluminum from virgin natural resources. So how much energy are we talking about here? Recycling one pound of aluminum (33 cans) saves about 7 kilowatt-hours (kWh) of electricity. With the energy it takes to make just one new aluminum can from bauxite ore, you can make 20 recycled aluminum cans. Putting the energy question into even more down-to-earth terms, the energy saved by recycling one aluminum can is enough to power a television set for three hours. How Much Energy Is Wasted When Aluminum Is Sent to the Landfill? The opposite of saving energy is wasting it. Toss an aluminum can into the trash instead of recycling it, and the energy required to replace that discarded resource with new aluminum from bauxite ore is enough to keep a 100-watt incandescent light bulb burning for five hours or to power the average laptop computer for 11 hours, according to the Container Recycling Institute. If you consider how far that energy could go in powering compact-fluorescent (CFL) or light-emitting diode (LED) bulbs, or the new energy-efficient laptops, the costs really start to mount up. All in all, the energy it takes to replace all of the aluminum cans wasted every year in the United States alone is equivalent to 16 million barrels of oil, enough to keep a million cars on the road for a year. If all those discarded cans were recycled every year, the electricity saved could power 1.3 million American homes. Globally, about 23 billion kWh are squandered every year, just as a result of trashing or incinerating aluminum cans. The aluminum industry uses almost 300 billion kWh of electricity annually, about 3 percent of the world's total electricity consumption. How Much Aluminum Is Recycled Every Year? 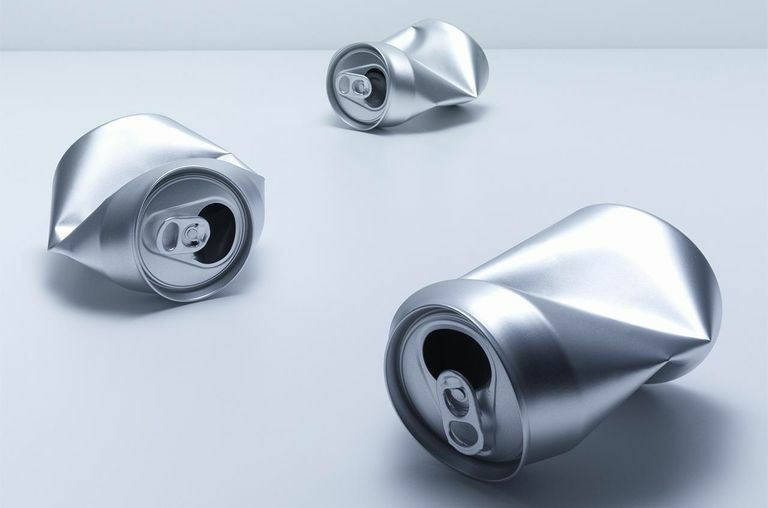 A little less than half of all aluminum cans sold each year — in the United States and worldwide — are recycled and turned into new aluminum cans and other products. Some countries do very well: Switzerland, Norway, Finland, and Germany all recycle more than 90% of all aluminum beverage containers. How Much Aluminum Is Thrown Away and Never Recycled? We may be recycling more aluminum every year, but things could still be a lot better. According to the Environmental Defense Fund, Americans throw away so much aluminum that every three months we could collect enough scrap to rebuild the entire U.S. commercial airplane fleet from the ground up. That's a lot of wasted aluminum. Globally, more than half of all the aluminum cans produced and sold every year are thrown away and never recycled, which means they have to be replaced by new cans made from virgin materials. How Does Aluminum Recycling Help Local Communities? Every year, the aluminum industry pays out close to a billion dollars for recycled aluminum cans — money that can go to support organizations such as Habitat for Humanity and the Boys & Girls Clubs of America, as well as local schools and churches that sponsor can drives or ongoing aluminum recycling programs. 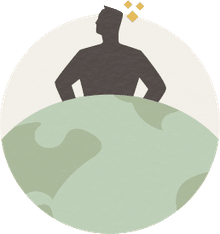 One simple and effective way to increase aluminum recycling is for governments to require consumers to pay a refundable deposit on all beverage containers sold in their jurisdictions. U.S. states that have container deposit laws (or "bottle bills") recycle between 75 percent and 95 percent of all aluminum cans sold. States without deposit laws only recycle about 35 percent of their aluminum cans. Learn about the benefits of recycling other types of material like plastics, glass, metal, paper, and cell phones.